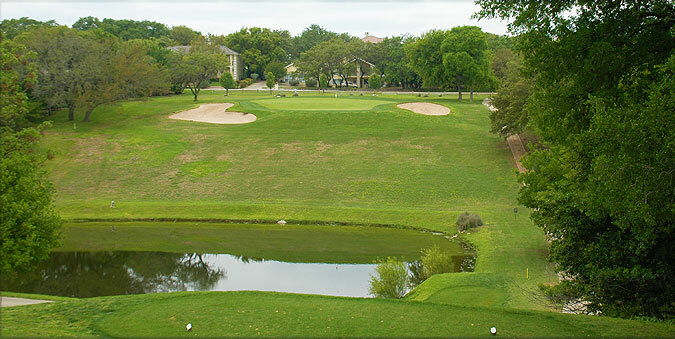 Lauded by the Audubon Society, the Live Oaks and Yaupon courses at Lakeway Golf Club offer members various challenges with rolling hills, demanding tee shots to tree lined fairways, strategic bunkering and numerous water hazards. Each course has its own clubhouse with pro shop, restaurant/lounge and practice facilities. The Yaupon Course winds through a residential and resort community along a tree lined, rolling terrain. Water comes into play on five holes and 44 soft sand bunkers are situated near the landing zones of the manicured fairways, or serve to protect the green complexes. The small round putting surfaces demand accurate iron play, and are frequently slope from back to front, with sand traps often situated on both sides. There are four sets of tee boxes that play to distances and slopes measuring 6814 yards/131 slope, 6264 yards/122 slope, 5400 yards/112 slope and 5115 yards/with a slope of 115 for women hitting from the forward tees. The yardage marking system includes indicators at 100, 150 and 200 yards on both the fairways and cart paths, with sprinkler heads also measured to the center of the green. Color coded flags provide information on front, middle or back hole locations. The terrain is very rolling, with some significant elevation changes. Players will encounter numerous elevated tees and raised fairways, and approaches often play uphill or downhill - making club selection important. Though tree lined, there are generous landing zones off the tee, and the green complexes usually provide sufficient room for recoveries from offline approach shots. The Yaupon Course is located a couple miles from its sister course - Live Oak. Both courses feature fine conditioning from tee to green, with Tif Eagle putting surfaces that roll quick and true. We highly recommend a round on either of these layouts. 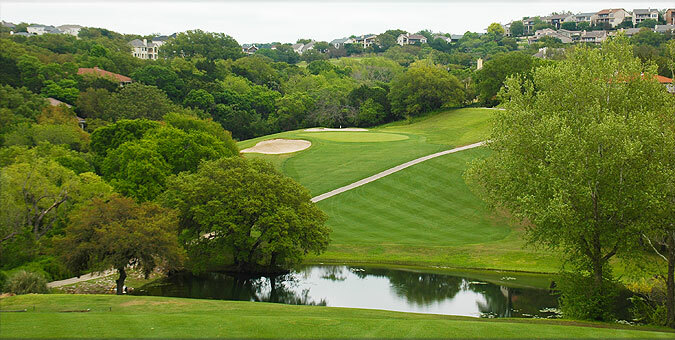 For more info, visit our page for the course, with direct link to the Lakeway website by clicking here.